This year’s highly anticipated Dior summer collection ‘Croisette’ has launched at Escentual.com, and we couldn’t be more excited. 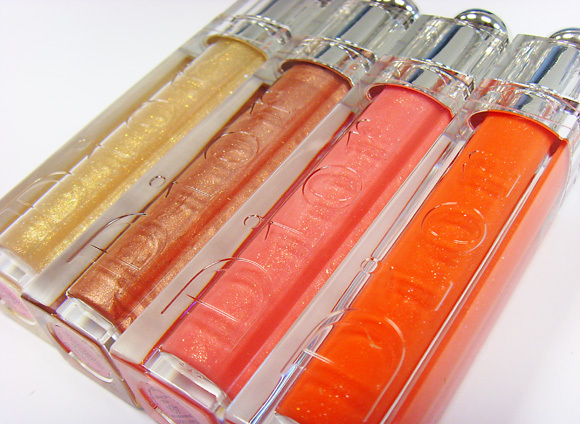 Shop Dior Summer Makeup here. With a sophisticated mix of golds and beiges alongside pops of vivid colour, there really is something for every beauty lover. 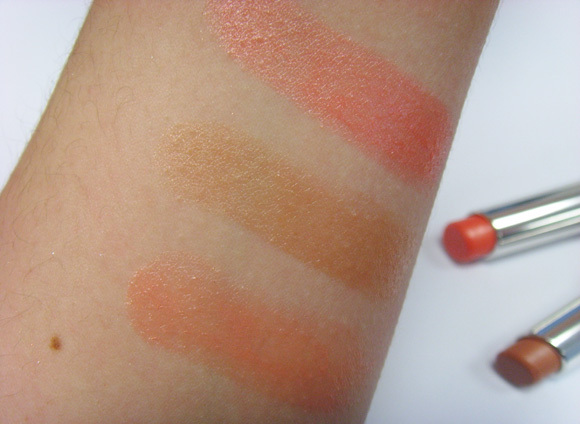 We’re splitting the swatches into three posts as the collection is pretty big, so keep your eyes peeled for ‘Croisette Face’ and ‘Croisette Eyes’. For now, I’ll leave you with some lustworthy snaps of ‘Croisette Lips and Nails’. Enjoy! 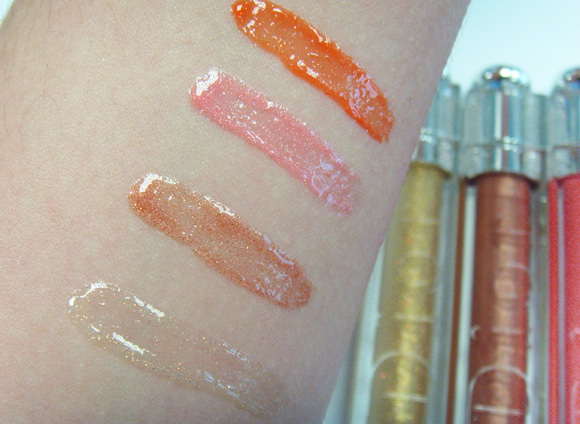 The Croisette edition Dior Addict Ultra Glosses are more pigmented than the abundance of sparkle suggests! Orange Pareo coats lips in a tangerine that is almost neon – it’s more than a slight nod to the Pantone Colour of the Year and is great way to update your look instantly; Pink Croisette is a perfect girly bubblegum pink shot through with golden sparkle; Brown Panama is so full of bronze shimmer that it looks almost metallic on the lips – this would look absolutely beautiful with a tan; the least pigmented of the lipglosses is Gold Sunrise, a subtly tinted gold with masses of golden glitter that layers wonderfully with lipstick. 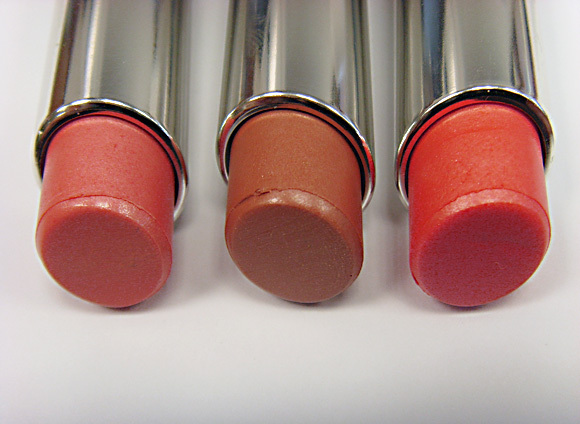 This capsule collection of Croisette Edition Dior Addict Lipsticks ranges from the true sandy beige of Sand, through to the pop of pale pinky peach that is Palace, and finishes with the bolder coral pink of Jet Set. Each shade is made softer with an ultra feminine pearlescent golden sheen, and can be worn both day and night for laidback glam. 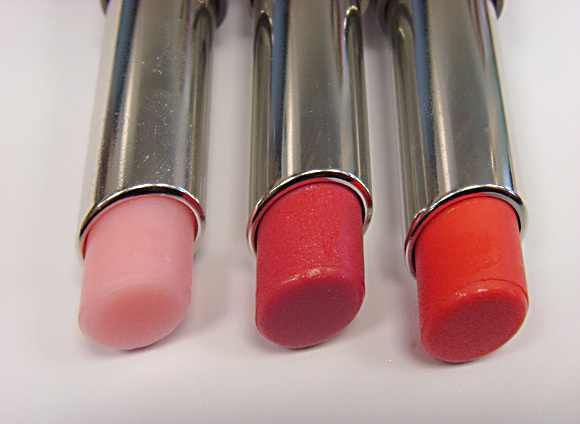 The brand new Dior Addict Lip Balms are perfect for those who experience dry lips in the summer. Ultra nourishing and buttery, two of the three shades offer a hint of colour, while Crystal nourishes transparently. Crystal Pink imparts a petal perfect rosy pink hue with subtle shimmer, while Crystal Coral is slightly more orange and vibrant. 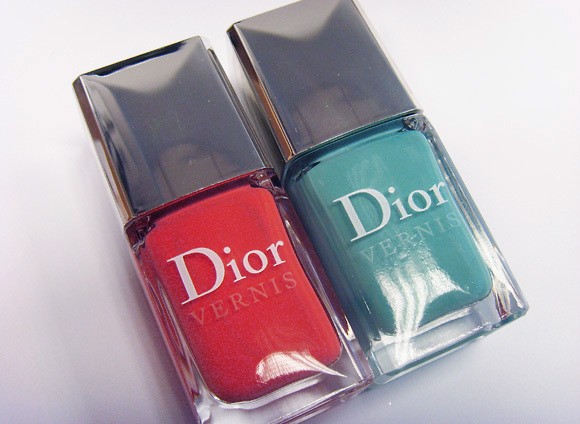 Two of the instant standouts of the collection are these new Dior Vernis nail shades. The high shine turquoise of Saint Tropez perfectly matches the key eye palette and the eye liner, while the warm coral of Bikini offers a contrasting pop of colour. 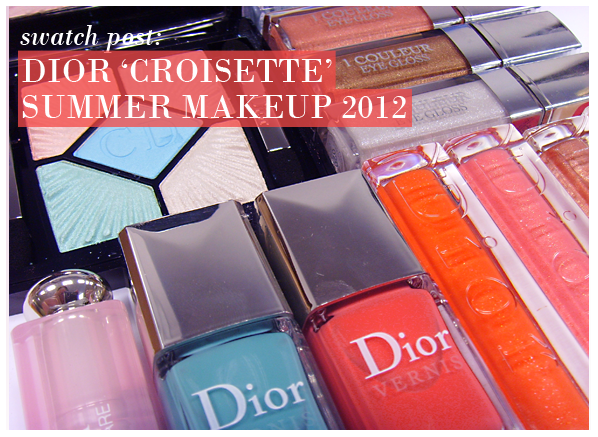 Discover the Dior Croisette Summer Makeup Collection here at Escentual, including the entire eye and face ranges. Simply glides on and stays put! Fab colour for all year round luscious lips. Love the packaging too, very elegant design. Would definitely recommend it. Fast and efficient delivery too. 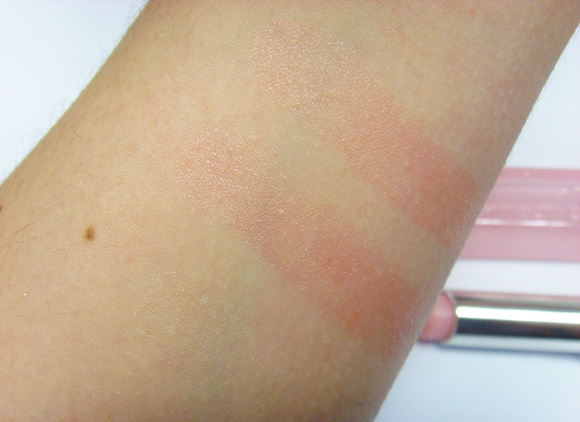 This entry was posted on Monday, May 14th, 2012 at 2:11 pm and is filed under Make-up, Swatches, Tried & Tested. You can follow any responses to this entry through the RSS 2.0 feed. You can skip to the end and leave a response. Pinging is currently not allowed.